Get ready for exciting adventures at Camp Interlaken JCC. 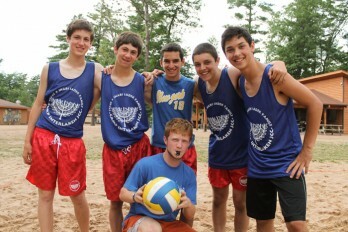 You’ll have a blast hydro biking, mountain biking swimming and learning Israeli dance and culture in Eagle River, Wisconsin located in the breathtaking northwoods. You’ll have tons of fun spending your days at Camp Interlaken JCC, learning about friendship and the world around you. Check out Everything Summer Camp’s wide variety of summer camp gear including the great C&N Footlockers, made right here in our factory. They have bedding, fans, Sigg water bottles, and everything else you’ll need before heading off to summer camp.